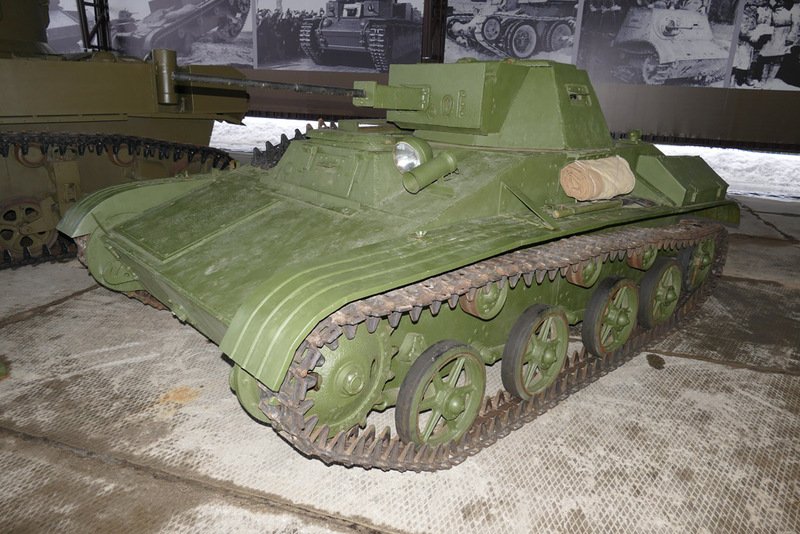 This tank became one of the museum’s first exhibits. Its restoration was done by the restoration group “Rearguard”, which was led by “С.И. Буздалин”. The results of their work look more like a tank model than like a real T-60. The percentage of the tank’s surface that is made from real, antique (from WW2), sheets of metal is relatively low (only several sheets of the hull and half the turret are made from real metal), the restoration artists tried to make it look like the metal was corroded by pouring some concrete crumbs on the hull. 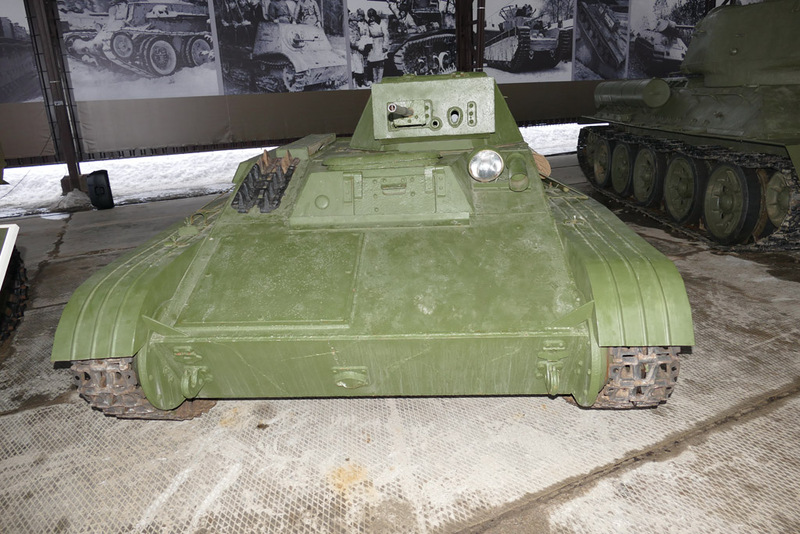 A tank with concrete-infused armour? This was the first time that I’d seen something like this 🙂 The engine for the tank was taken from the “GAZ-53” truck; this was at a strange solution at best – considering that it would have been more correct to have used an engine from a KAMAZ truck. 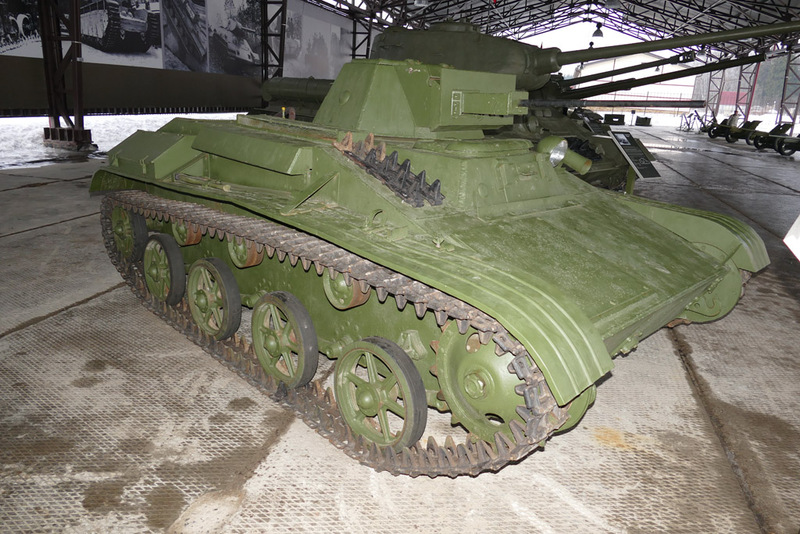 The were also many problems with the tank’s equipment, and it looked like it had been made from parts the came from at least three different factories. At the same time, if you look at this tank as a machine that is for demonstration purposes only, then it is a pretty good showpiece. It is fit for the intended role. In the long term the museum is planning to either create another T-60, one that is more original and historically accurate, or to thoroughly rework the existing specimen.